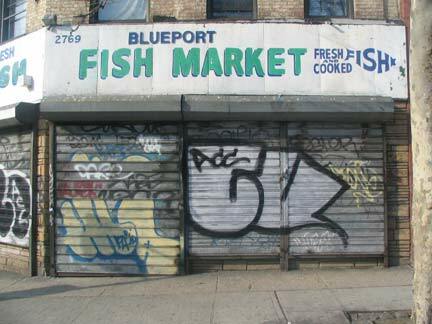 BOSTON may be known as the “Hub of the Universe” but the south Bronx has its very own Hub where four roads converge: East 149th Street and Willis, Melrose and Third Avenues, while Westchester Avenue begins its journey to Pelham Bay Park just a block to the north. Arrayed along Third is one of the Bronx’ biggest shopping areas (eclipsed only by Fordham Road), some mini-skyscrapers near some deserted lots and a number of ghost buildings. The framework for the dome of the United States Capitol was cast here, and Arthur “Dutch Schultz” Flegenheimer ran his speakeasy ring from a command post on East 149th. This building on Willis Avenue looks like it may have once been a theatre, but cinematreasures.org, the go-to source, doesn’t list it. The once-magnificent Loew’s National was once a block away, but was razed in the 1970s. 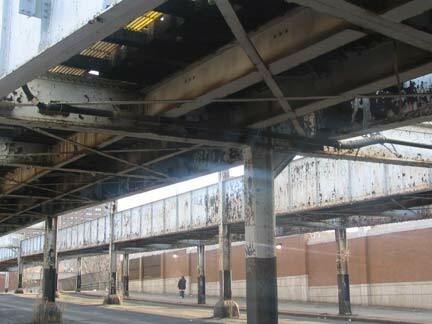 The Hub was once a nexus for multiple trolley, subway and elevated lines; the last of the elevateds, the spur of the Third Ave El above East 149th, shut down in 1973, drenching the Hub in sunshine for the first time in nine decades. 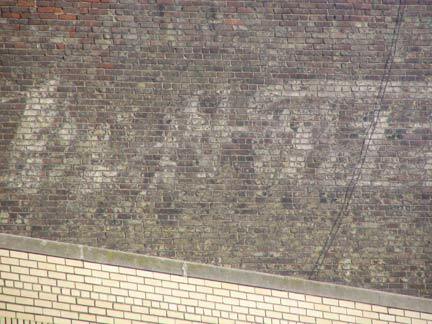 The trolleys faded away in the 1940s. Willis Avenue slightly north of 148th in 1947). The Third Avenue El tracks were there until 1955, when service ended below East 149th Street. 12-story tower on East 149th between 3rd and Courtlandt. 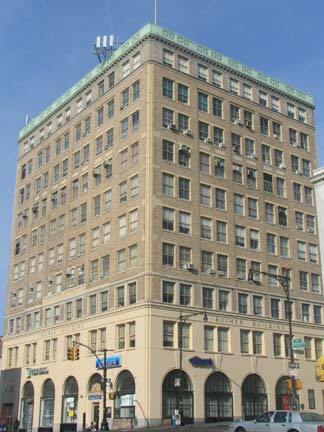 The stretch between Grand Concourse and Bergen Avenue is home to a number of office buildings dating to the mid-1920s. 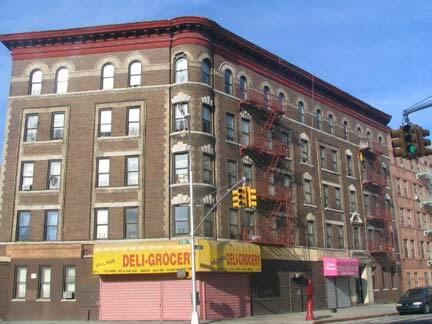 The Busher and Harvey Buildings, East 149th Street. 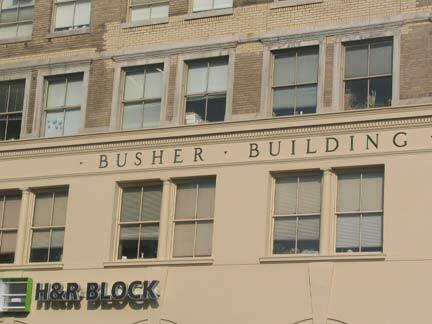 I have often wanted to research building names, or even apartment building names; for example, my builing was named Tilden Court by the builder, back in the 1920s. Who knows why? Buildings along Courtlandt Avenue and East 148th Street, which, in the 1600s, was the location of the northern end of Jonas Bronck’s farm. 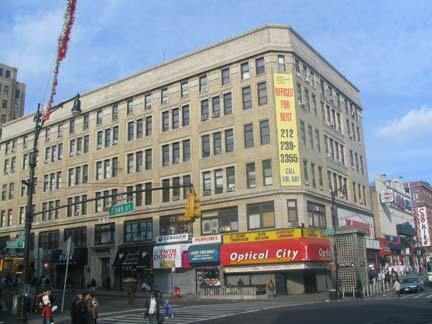 Bronck, a Swede, acquired approximately 650 acres of land in today’s Mott Haven and Hub areas. 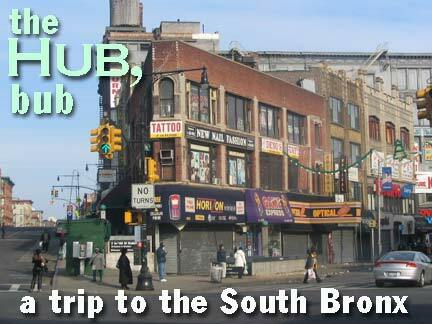 He gave his name to the borough of the Bronx and the north-south flowing river that divides it in two. Courtlandt Avenue, called Dutch Broadway in the early 1800s, was the main street in the villages of Melrose and Melrose South (after a Sir Walter Scott novel, “Melrose Abbey”: surveyor Andrew Findlay was a Scot). There was an early German presence in the villages, hence the name “Dutch Broadway”, for Deutsch, the German term for their native language. “Courtlandt” is a variant spelling of “Cortlandt”; the Van Cortlandt family was prominent in the Bronx in the colonial era. Beginning in 1918, Courtlandt Avenue and East 150th Street became an unlikely capital of mandolin making, as Angelo Mannello set up a premier handcrafted mandolin business that continued into the Depression years. 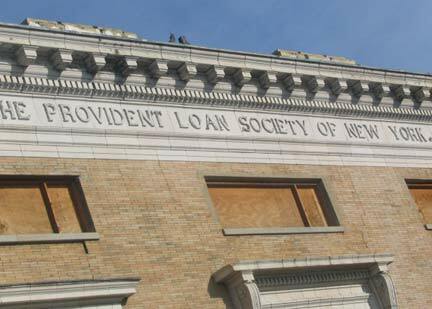 It doesn’t use the three-ball symbol, but the Provident Loan Society of New York is one of the oldest pawnbroking establishments in the state. It was founded in 1894 by J.P. Morgan and Cornelius Vanderbilt, among others. Its interest rates are considerably lower than those offered at traditional pawnbrokers. 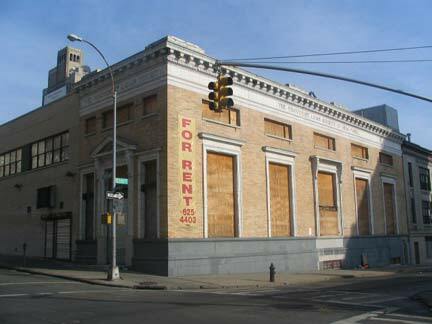 The building that housed its Bronx branch is for rent and may have had a fire; its windows are gone. Above: Courtlandt Avenue at Third; below, Third near East 147th. Third Avenue (never signed “3rd Avenue” in the Bronx; on those occasions where it is, it’s a mistake) is an amalgamation of early Bronx roads. In 1891, when Manhattan’s 3rd Avenue El was extended to Williamsbridge in the Bronx, it was decided to rename the roads the elevated ran over to Third Avenue. 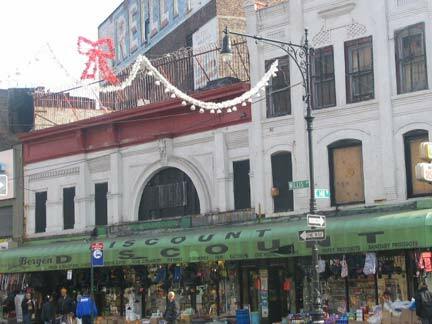 At the time, Manhattan and the Bronx were one county, and Third Avenue extended the numbering of its Manhattan original. 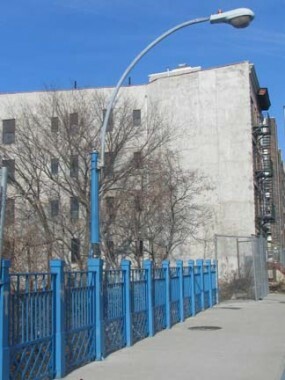 The route of Third Avenue between the Bronx Kill at Bruckner Blvd. and Boston Road at East 163rd Street was built in 1794 as an alternative to the original Boston Post Road. It was commissioned by Colonel Lewis Morris and built by surveyor John B. Coles, and for a time was known as “Coles’ Boston Road.” It joined the original Boston Post Road in Eastchester, in today’s northeast Bronx.Yes, it goes to Boston, as US 1. So many theatres and banks in the Bronx are now used for different purposes. 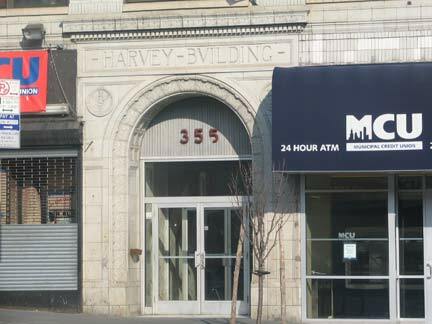 The Dollar Savings Bank at Third and East 147th is now a Seventh-Day Adventist church. Contrary to popular opinion, the Adventists are different from the Jehovah’s Witnesses. Kellogg’s Cereals is the brainchild of John H. Kellogg, M.D., a follower of Adventist principles. Third Avenue and East 148th Street: A ghost ad for Bloomingdale’s has been overrun by a more recent (though still a few decades old) Grand General drugstore ad. 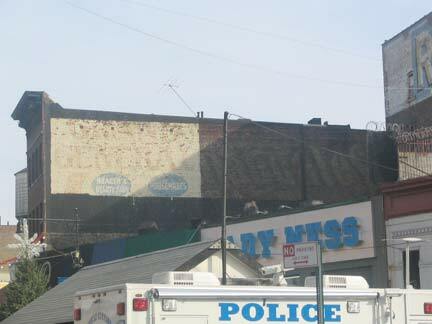 At the far right can be seen part of an ad for the now-defunct Reilly electronics store. 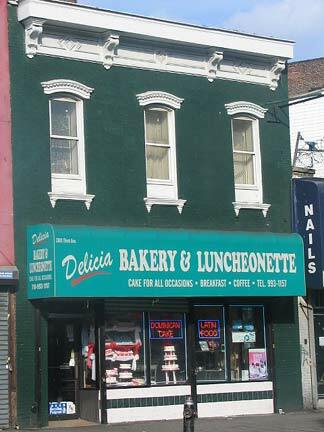 A flock of ghost ads is incomplete without one of the ubiquitous Fletcher’s Castoria ads. Kids were getting a lot of tummy aches from unripe apples in the early 20th Century. The Hub’s building fronts and tall buildings hint at past glories. Top: Third Avenue; bottom: East 149th and Melrose Avenue. 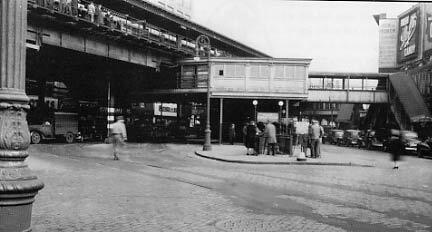 The glass-enclosed structure at bottom right is an elevator to the Third Avenue-East 149th Street subway station. Escalators once provided access to the elevated here. 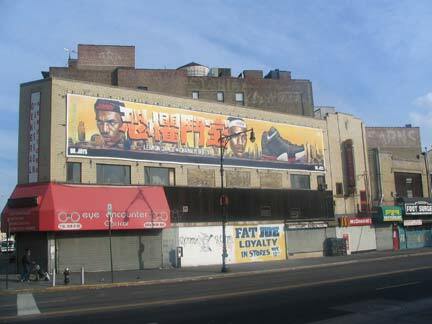 At right we see the influence of hip hop culture and graffiti in a sneaker ad featuring the Miami Heat’s LeBron James. 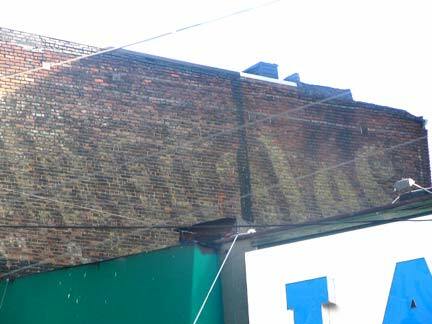 A close look above the newer ad will reveal painted designators for Hearns’ Department Store, a Hub fixture for decades, and another Castoria ad. 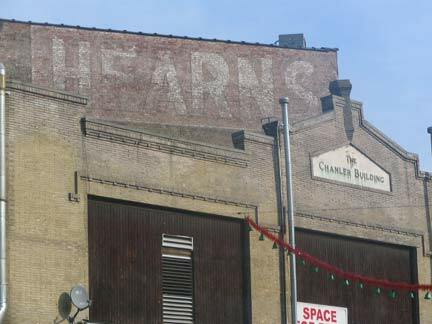 A closer look at the Hearns lettering on East 149th and along Bergen Avenue (a block east of Third). I don’t know much about Hearn’s…any Forgotten Fans can help? 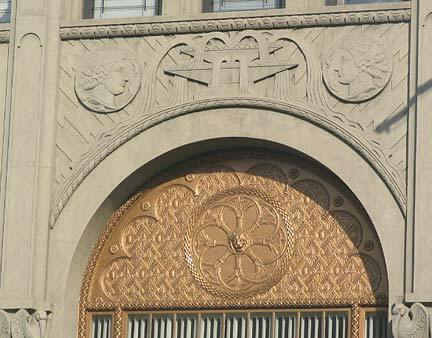 The Chanler Building’s façade can still be seen on East 149th. 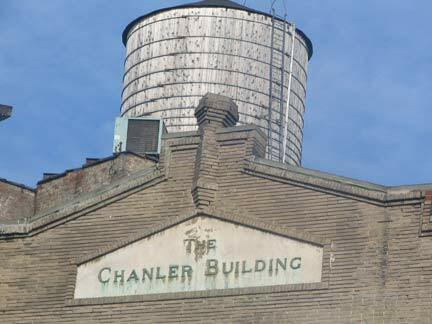 Who was Chanler, and what was the building’s original purpose? The answers are out there in a dusty municipal office downtown, I’m sure, but as the years pass, not only Chanler himself has been forgotten…but it will become even harder to find out who he was. ForgottenFan Sylvia Stumpfig: Chanler was my grandfather, William Astor Chanler. Here is his wiki bio. He was a good friend of Teddy Roosevelt, and dedicated his book about his exploration of East Africa, Through Jungle and Desert, to T.R. Hearns was part of my father’s “estate” which he shared with his brother. He sold it sometime in the sixties. McCrory’s fought the five-and-dime wars against Frank Woolworth, EJ Korvette and Kresge (now K-Mart) all through the 20th Century, and you’d think they would have had a Hub location. 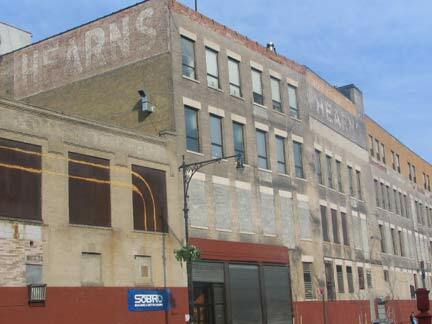 Despite the extra “e” on this façade this building apparently once housed a McCrory’s branch. 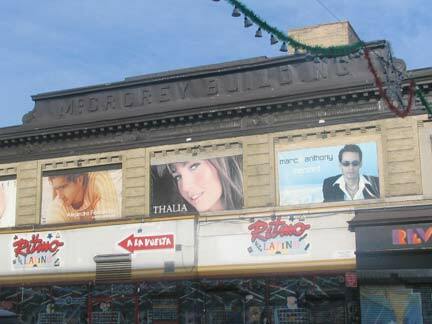 Mexican singer/actress Thalia and Marc Anthony, from Spanish Harlem, are featured in ads on the McCrorey Building, which appears to date to the 1880s or 1890s. Just east of the Hub, the IRT Broadway Line rises from underground and runs above Westchester Avenue through Morrisania and Longwood. The avenue, laid out as a paid toll road on top of an ancient Indian trail in the 1700s, is so named because it originally ran as far as the town of Westchester (originally in Westchester County and now called Westchester Square). The road was extended to Pelham Bay Park by 1917. 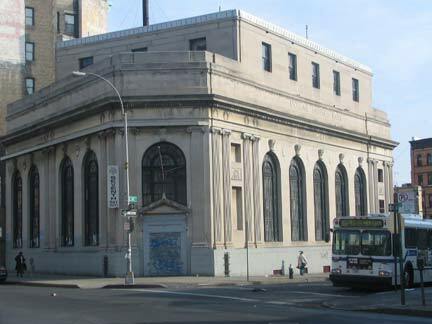 The IRT Broadway line reached the Bronx in November 1904–just a month after the first subway line opened. Subway expansion would proceed at an accelerated pace, both underground and joining existing elevated trackage, until 1940. The IRT Broadway line continues in the Bronx as the IRT White Plains Line (the #2 train) from Jackson Avenue, the first el station, along elevated tracks above Westchester Avenue, Southern Blvd., Boston Road and White Plains Road to East 242nd Street in Wakefield. The Jackson Avenue station retains architectural elements not found in some of the other White Plains Line stations. 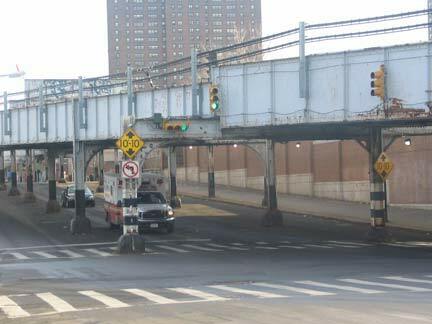 Westchester Avenue is the only major road in New York City to have two separate elevated lines running above it. Further east at the Bronx River, the elevated Pelham Line (the Lexington Avenue in Manhattan, today’s #6 train) rises to cover Weschester Avenue, crossing the Bronx River on a handsome road/railroad bridge. The Pelham Line elevated section was built 16 years after the White Plains line, debuting in October 1920. 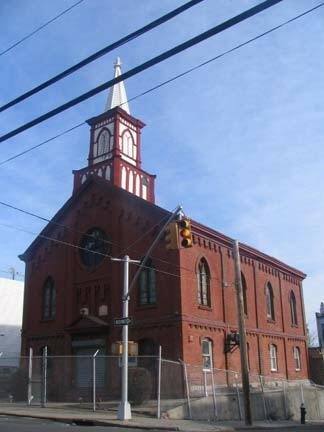 It’s almost inconceivable to think of it now, and most people who live and work in the Hub area don’t know it, but the framework supporting the dome of the United States Capitol Building in Washington, DC was cast here, in the Janes and Kirtland foundry located at about Brook and Westchester Avenues. Work began in 1858 when Westchester Avenue was a toll road running through countryside, and there was no Brook Avenue…just the brook that now runs under the avenue, which takes twists and turns to follow its namesake. The job took 3 years and comprised 5000 tons of iron. The present US Capitol dome replaces an earlier one designed by Charles Bulfinch; work began on the Capitol building in 1792 while Bulfinch’s dome was finished in 1829. In subsequent years, as the US grew and new states were added, it became necessary to expand the building and place a new dome, and Bulfinch’s was removed in 1856. 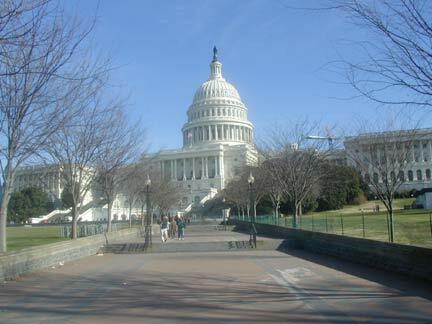 In 1863, the Statue of Freedom was placed atop the new dome during the Lincoln administration. 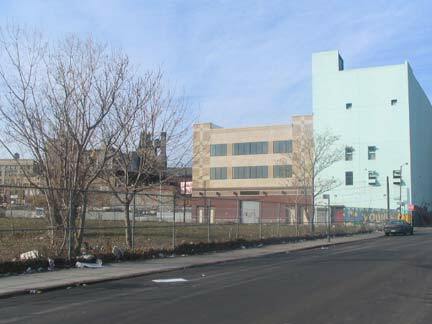 The Janes and Kirtland buildings survived here for several decades, but today they are replaced by empty lots, as seen here from Brook Avenue and East 152nd Street. 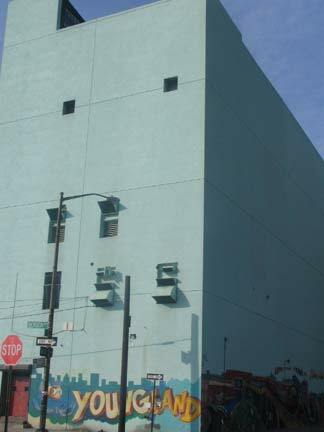 The Youngland apparel store occupies the ground floor of an unusual pale green tower facing Third Avenue at East 152nd Street. 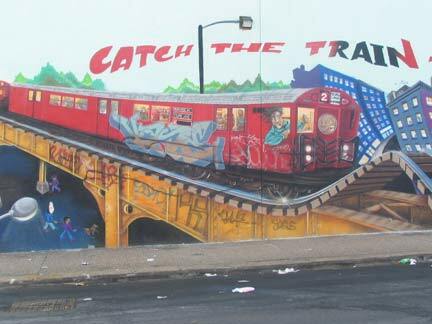 Here is a graffito a few years old, depicting the White Plains line with one of the Redbirds that plied the line until 2002. 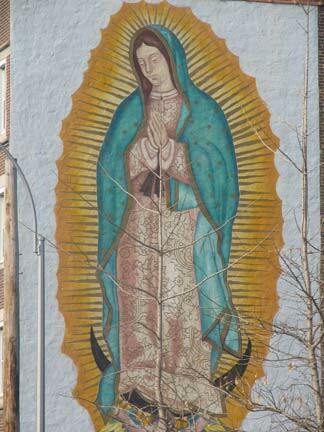 Heading north along Third, with a couple of detours, we find the Greater Eternal Baptist Church at Elton Avenue, one of the region’s many century-old church buildings; a mural of Mary is nearby. 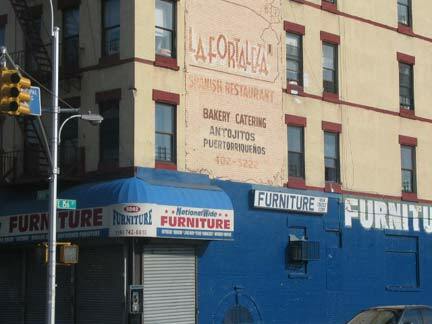 On Third and East 156th is a ghost ad for La Fortaleza Restaurant, perhaps named for the ancient fort and governor’s residence in San Juan, Puerto Rico. Third Avenue takes a temporary bend to the right at East 159th Street and allows a view of one of New York City’s more impressive yet least publicized streetscapes, as the Bronx Borough Courthouse appears around the turn. 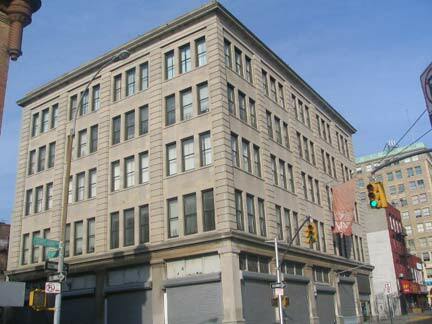 This ruined Beaux-Arts building at Third and Brook Avenues and East 161st Street was built when the Bronx was a borough, but not yet a county. The Bronx only attained county status in 1914 and until then, it was a part of New York County, which since 1914 has been made up of the Borough of Manhattan exclusively. 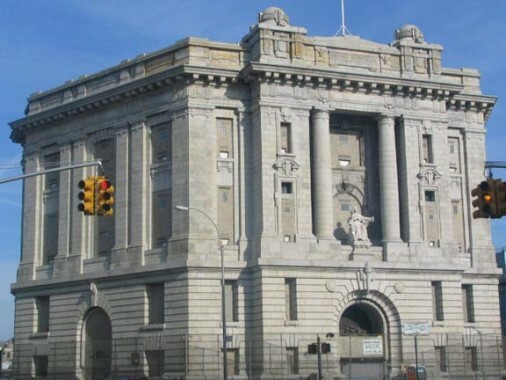 This building saw the newly-minted Bronx County’s first murder trial and conviction. 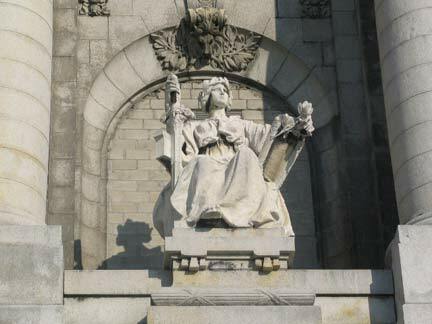 The Borough Courthouse features two statues representing Justice, one of which looked into the Third Avenue Elevated cars as they rattled past. Yes, in this case, Justice isn’t blind. 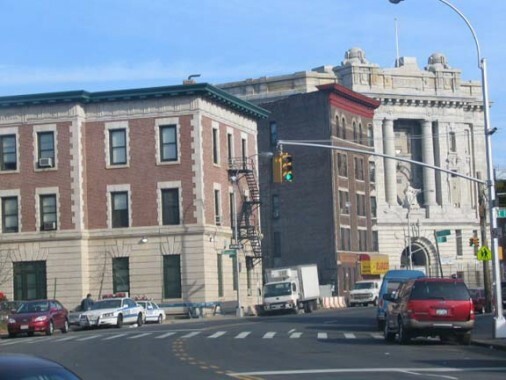 The Borough Courthouse is located at an unusual Bronx crossroads — here, Third Avenue takes a sharp jog to the northeast, following the old Coles’ Boston Road path, while Brook Avenue angles northwest, along the path of the now underground brook the avenue follows. The Borough Courthouse replaced a country inn, Hammer’s Hotel. 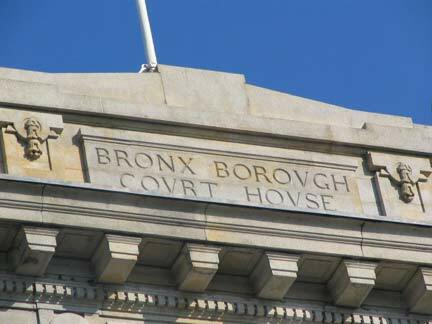 The Bronx Borough Courthouse should not be confused with the Bronx County Courthouse, or the Mario Merola Building, the present home of the Bronx Supreme Court, County Clerk, Sheriff, Public Administrator, District Attorney, and Bronx Borough President. 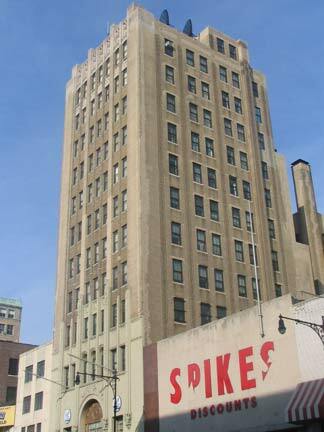 That building is located on the Grand Concourse between East 158th and East 161st Street and was built in 1933 by architects Max Hausel and Joseph Freedlander. 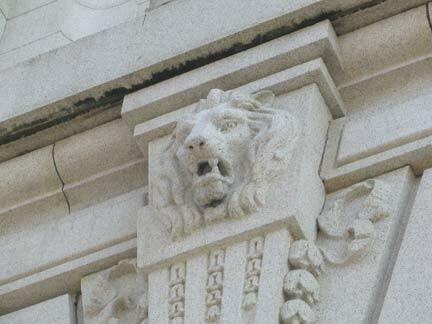 Hausel was an associate of Michael Garvin, who built the Borough Courthouse in 1905. A building this impressive deserves several views. 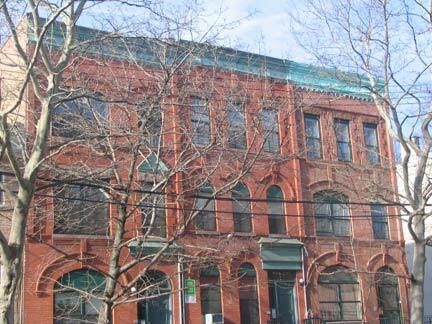 Although the building’s fate is unknown, in recent years its exterior has received a cleaning. 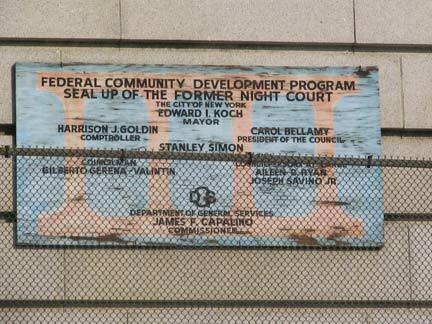 A wooden sign dating to the Ed Koch administration (1978-1989) survives on the faÃ§ade under the statue of Justice. 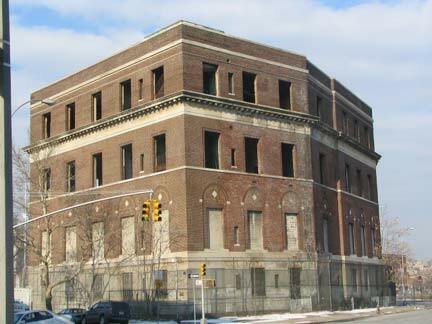 The Courthouse stands in a Bronx neighborhood north of the Hub, Morrisania, that is awaiting revitalization. There are abandoned storefronts and buildings; yet, some of the grand old apartment buildings are still being well-maintained. 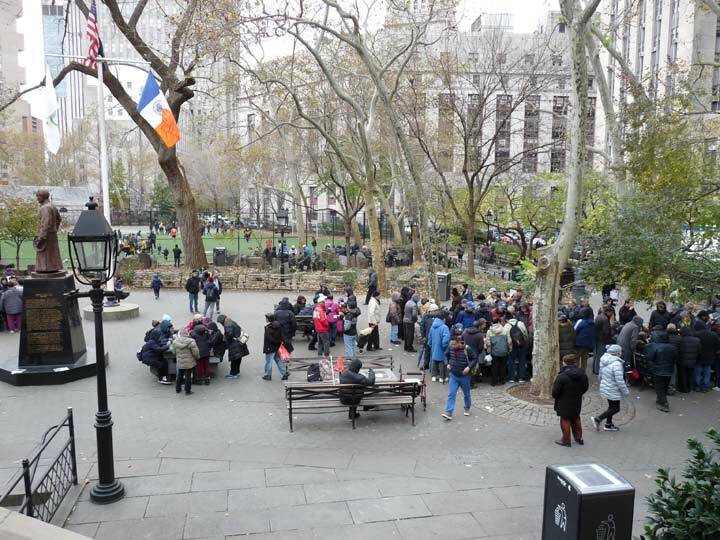 Mike “satanslaundromat” Epstein takes us on a tour of the Borough Courthouse interior. Joe Anastasio (“The Joe”) of LTV Squad has also invaded the Courthouse. 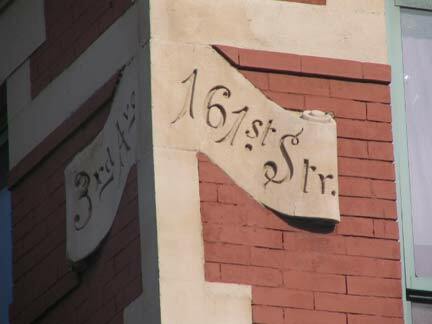 On the east side of the Courthouse on St. Ann’s Avenue and East 161st Street there’s a detailed brown-brick apartment building with a unique corner design and chiseled street signs reminiscent of those I found at “The Corner” of Sixth Avenue and West 24th Street. New York City contains over a thousand bridges. 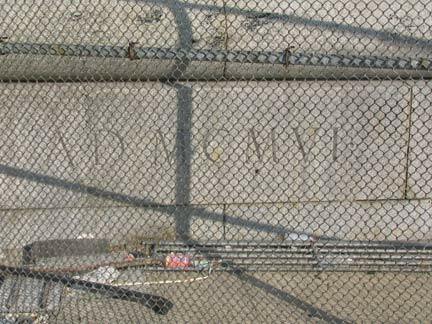 I was completely unaware of this one that carries Eagle Avenue over East 161st Street, necessitated by one of the steep scarps that dominate Bronx topography. 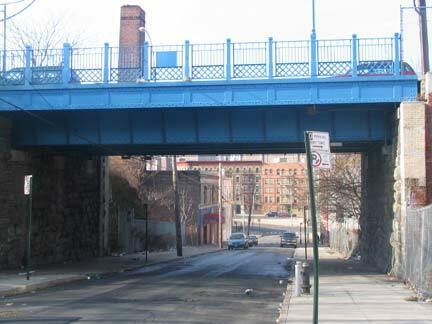 The Bronx has more step streets than any other borough, and ‘secret’ bridges like this one, that don’t make it onto maps. 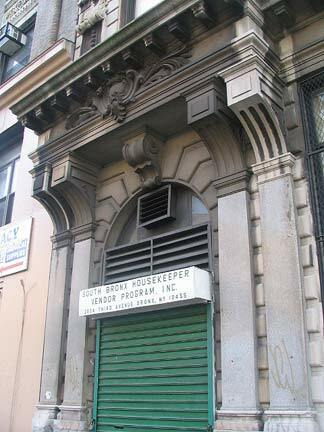 The Ebling and Hupfel Breweries were located on the high hill between St Ann’s and Eagle Avenues from East 156th to East 161st Streets. The breweries stored kegs in the cooler caves located in the rock escarpment. During Prohibition the caves were used to farm mushrooms! 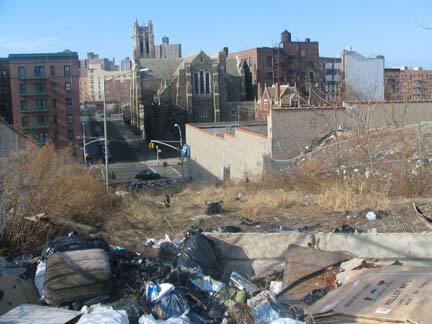 No breweries or mushroom farms are found today; nothing but rubble-strewn East 159th Street between St. Ann’s and Eagle. We are in a very old part of the Bronx formerly known as Woodstock, named for another Scott novel (see above) by surveyor Samuel Findlay (who also named the adjoining Melrose neighborhood). 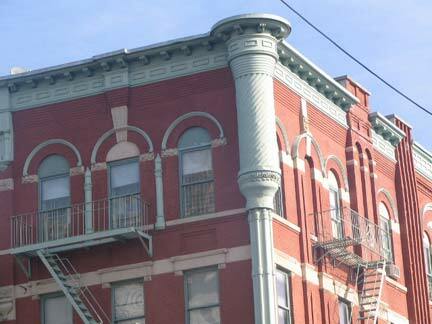 The area was settled in the late 1890s by German professionals; some lived in the handsome brick townhouses on Cauldwell Avenue and East 161st Street shown above.